Well, if it isn't Willy Wonka himself, boys and girls! 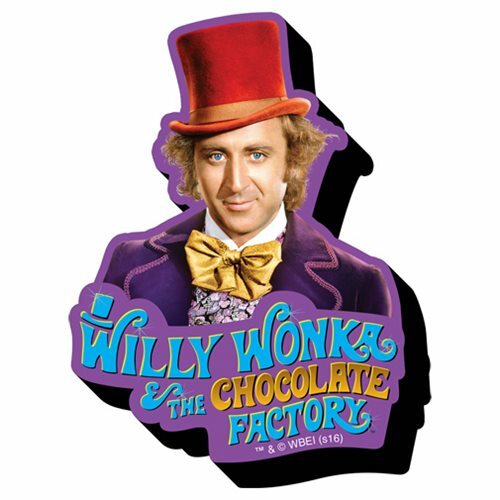 Keep the fantasy fresh in your mind with this colorful Willy Wonka and the Chocolate Factory Funky Chunky Magnet close at hand. This isn't your run-of-the-mill magnet. It's wooden, it's laser die-cut, and it's chunky! Ages 13 and up.